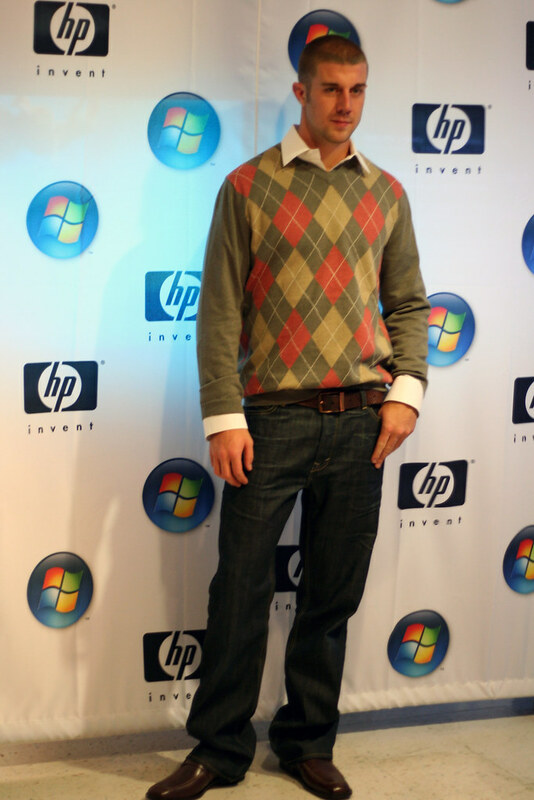 Earlier tonight I attended a Windows Vista launch event in San Francisco and was surprised to find not a single person in line to buy the software less than an hour before launch. 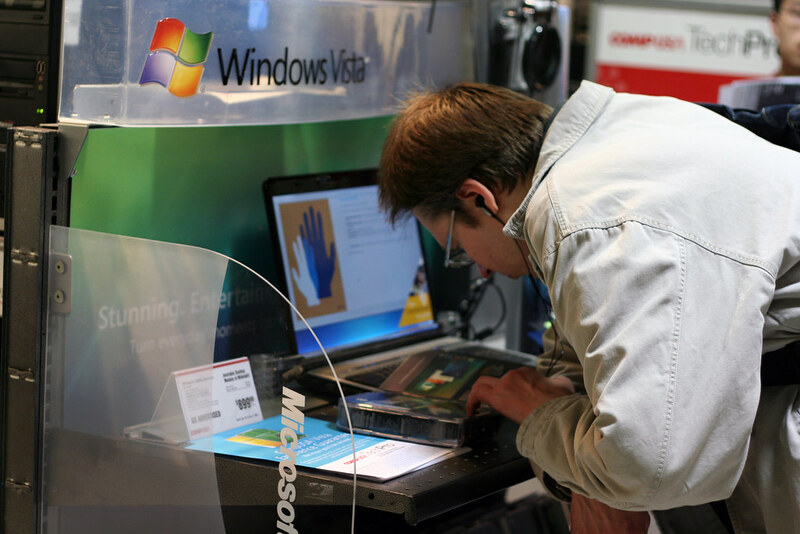 CompUSA stayed open late to provide hands-on demonstrations of Microsoft’s new Windows Vista and Office 2007 but for most people I talked to in the store the event was a learning experience and a chance for some special sales and discounts. When I left about 45 minutes before Vista officially went on sale to consumers there were no eager customers ready for launch. 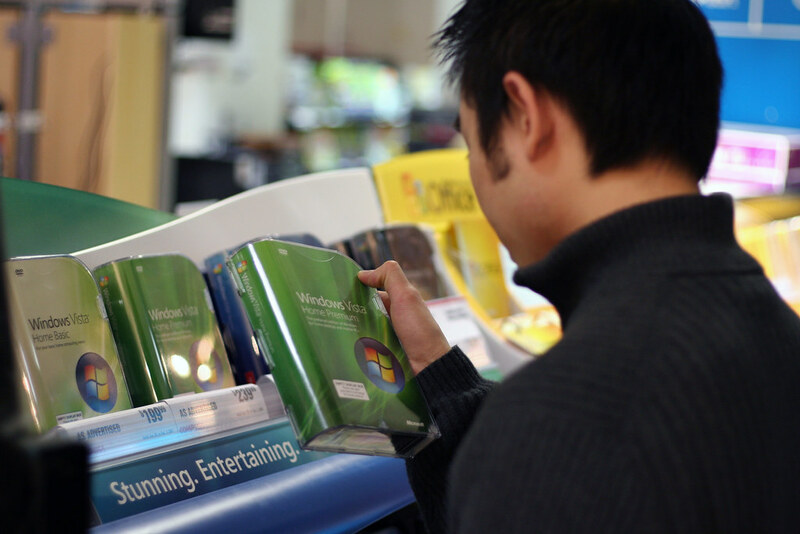 Potential customers picked up a brochure and examined the packaging to determine which of the eight versions of Vista on display would work best with their home computers. Multimedia was a primary concern as I overheard a few people asking staff members about music, photos, and movies in Windows Vista and computability with existing investments in cameras and printers. The Apple section was also busy with people checking out the latest Intel-based hardware and cross-platform options using Boot Camp or Parallels. Windows options on the Mac are a safety net, letting people unfamiliar with compatibility across different versions of Windows experiment with a new operating system without completely leaving their old ways behind. Free food in and an outdoor barbeque attracted a few local homeless, and football fans came out to see San Francisco 49ers quarterback Alex Smith. 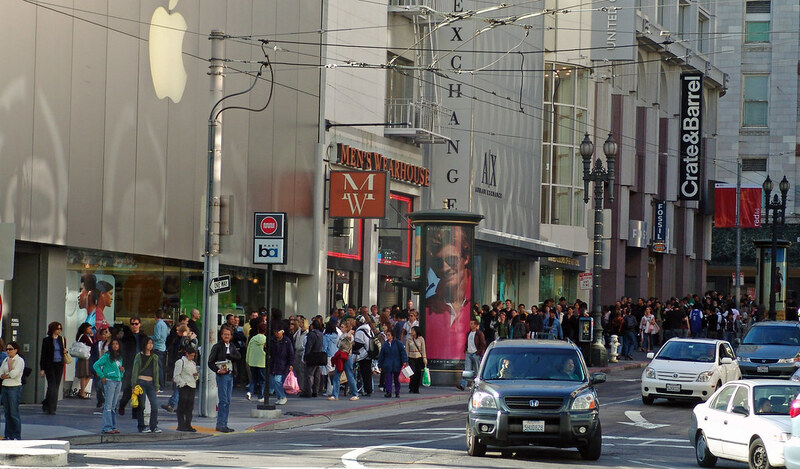 The level of consumer excitement around the launch of Windows Vista was nowhere near the experience of 200+ people lining up for the latest copy of Mac OS X (Tiger) two years ago. I expected at least some Windows fans battling it out to be the first person to buy Vista at midnight but there was little excitement and no line in sight. 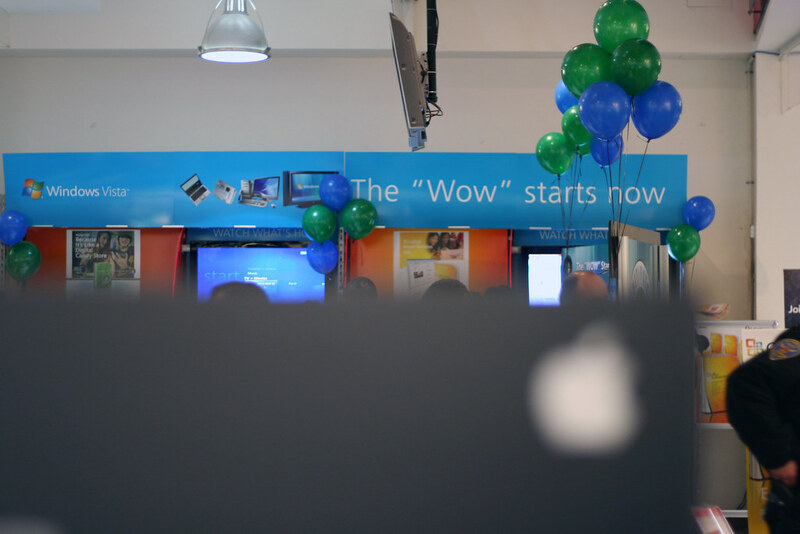 You can check out my 22 photos taken at tonight’s Windows Vista Ultimate Celebration on Flickr.